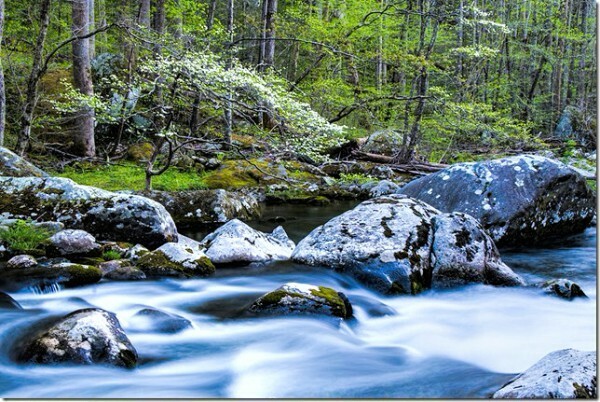 Every Spring I teach a workshop in the Smoky Mountains to capture images of the park coming out of its winter sleep. It is always enjoyable seeing images that clients capture during the workshops. Bob thanks for sending over some of the images that you and Linda shot. Looking forward to this spring’s workshop and will enjoy seeing the images you capture! The Castel Sant’Angelo is the fortress near St. Peters where Popes took refuge when Rome was under siege. Now, as in ancient times, you cross over the impressive Bridge of Angels which spans the Tiber River to enter to the Castel Sant’Angelo. When I am out photographing early in the mornings with my groups, when most of Rome is still sleeping, it is easy to envision being in ancient Rome. It is always a treat capturing images in these ancient places before the tourists and locals appear on the streets and remind us that is not 350 AD. The hotel accommodations I have made for the 2015 group traveling with me to Rome is near the Vatican and a brief stole from the Bridge of Angels. 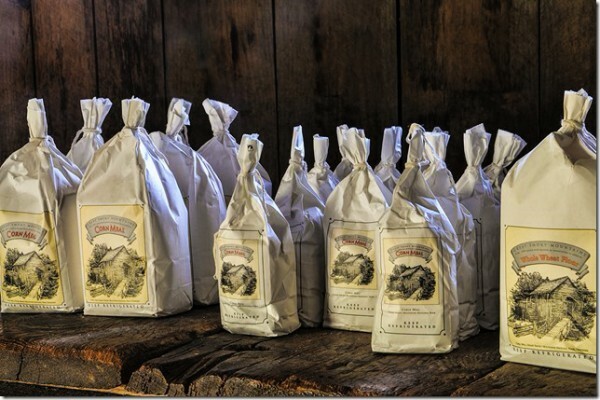 Anyone visiting Rome and interested in getting to know the city intimately I would recommend taking a personalized tour with Steve and Grazia Andre http://enchantingrome.com/ . Their knowledge and love of the city has always amazed me and delighted my clients. My mornings on location can bring amazing results. Earlier in the week we visited this lake hoping to capture mirror reflections at sunrise but the winds had kicked up making the lake choppy and even though that morning was beautiful I had to revisit this lake to capture this soft fog and mirrored sunrise. Often clients and friends ask why I revisit these beautiful places? My answer often brings a smile when I tell them that I revisit these beautiful locations to capture them under the right lighting and weather locations. When I revisit an area like Pictured Rocks I will always explore and scout out new locations to shoot but there are locations that I will go back to every time I am in an area. 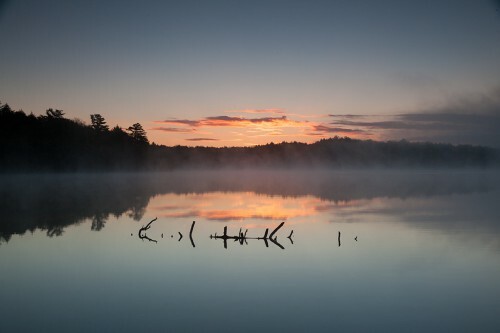 The unprocessed image of this misty morning on this mirror lake is pretty sweet but processing this image with Lightroom and Topaz Clarity brings the feel and look closer to what we actually saw that morning. From October 26-29 2014 I will be conducting a Fall Color workshop tour in the Smoky Mountains. The Smokies are blanketed in their autumn tapestry at this time of year. 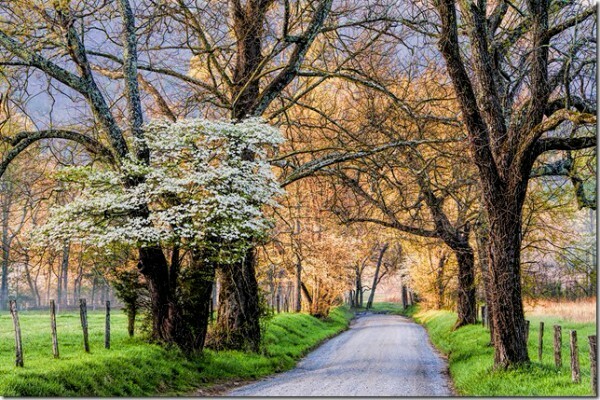 One of the days we will be spending time in Cades Cove capturing the colors. During our time in Cades Cove we will spend time photographing the interiors of early american cabins taken care of by the parks service. Nik HDR Efex Pro 2 is a great tool for bringing out the detail of these interior images. One of two CR2 Raw files used to process this HDR image. It has been a long cold winter in Michigan and the Midwest and I am looking forward to teaching this Spring in Charleston. 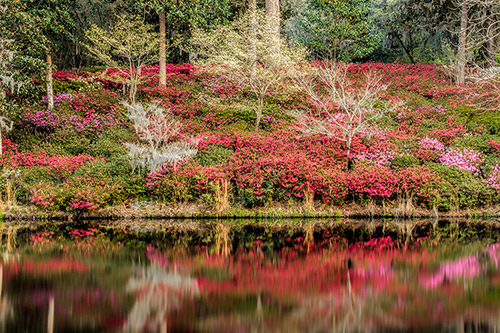 In late March and early April the Azaleas explode with color to make Charleston a photographers Paradise. Hope you are able to join me for a little spring shooting time in one of my favorite cities. It hard to think about composition when looking at a stunning scene but that is what keeps us at a location when others stop for a few seconds and wander off. Sitting with a location as the light changes helps slow us down and allows us to capture that moment and carry it with us. 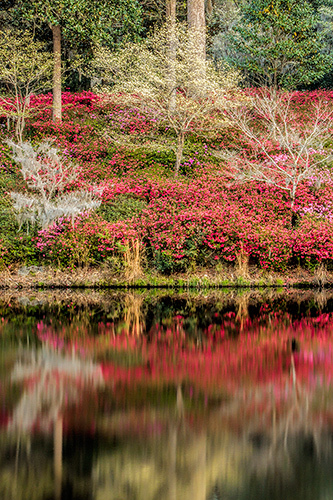 Hope you join me in Charleston for the spring workshop to capture some wonderful images.